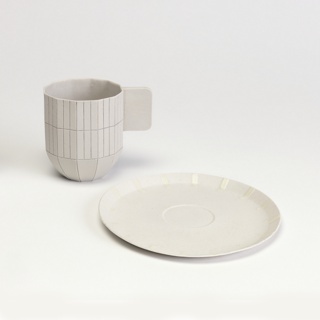 See more objects with the tag interior, decoration, home, seating, loops, curving line, continuous. This is a Chair and ottoman. 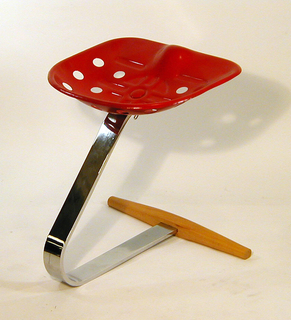 It was designed by Heinz Meier and manufactured by Landes Manufacturing Co.. It is dated 1976 and we acquired it in 1987. 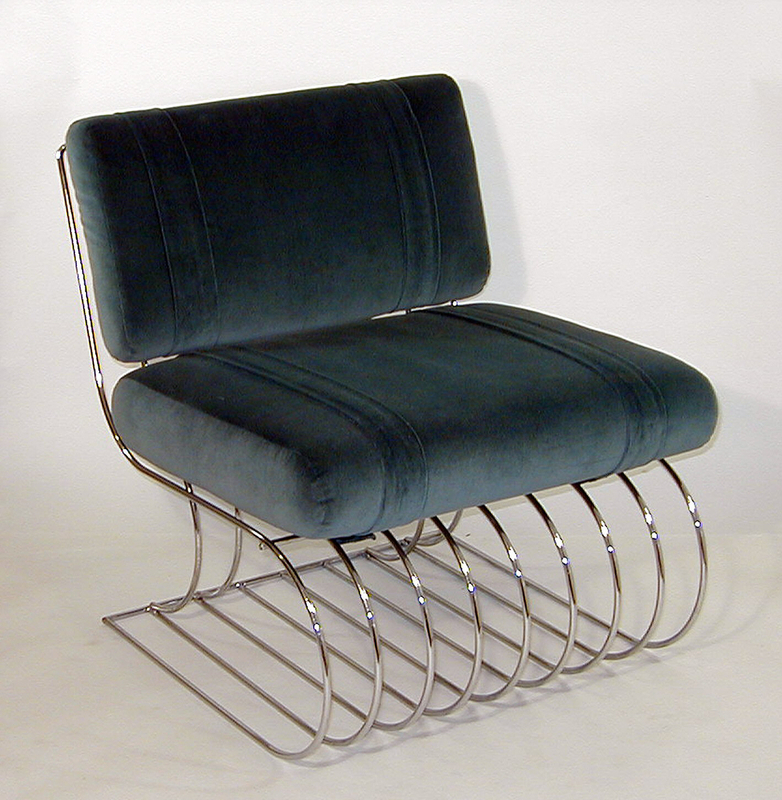 Its medium is chrome-plated bent tubular steel, upholstered cusions. It is a part of the Product Design and Decorative Arts department. The Ascona chair and ottoman are two pieces of furniture from a larger modular set that included a convertible lounger and side table. This cantilevered chair has a curved frame made of parallel chrome-plated tubular steel rods that form the seat, base and back, with a pair of simple, rectangular upholstered cushions. Two to three years earlier, the architect and designer Heinz Meier designed a set of furniture actually made of standard plumbing pipes, one of the first designers to use industrial fixtures for furniture. The Ascona group is a more sophisticated design based on the earlier plumbing pipes. This object was donated by Martin R. Liebhold.